There is no way to describe how much I love my new loom! 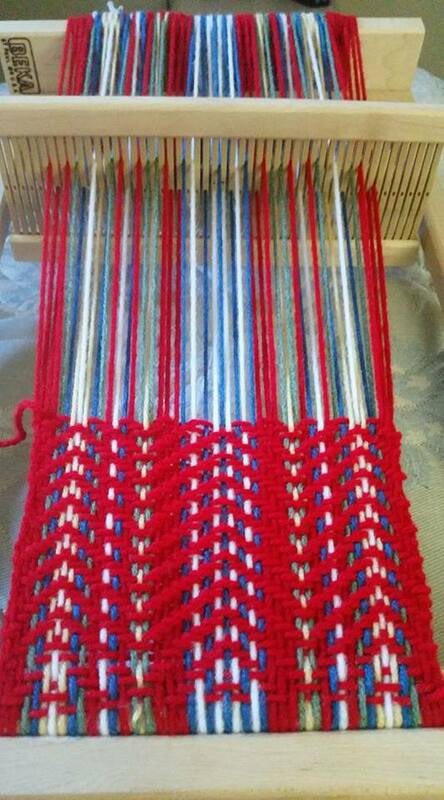 It’s a simple, honest tool that makes weaving so fun and fast. 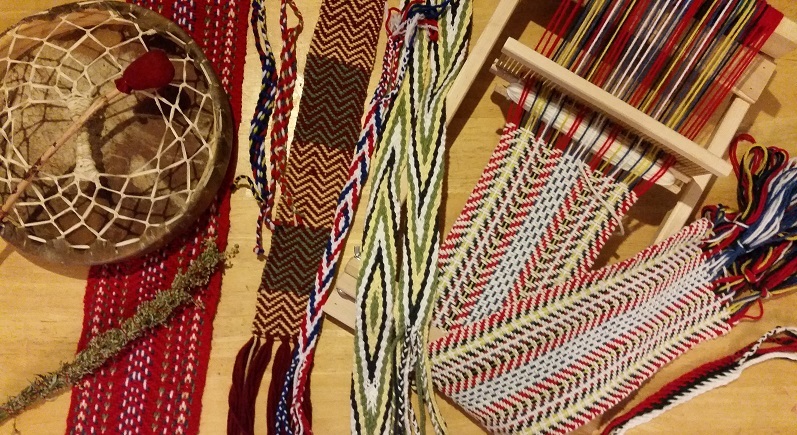 Although you can’t get that traditional, finger-woven look with a loom project, you can at least make a full sized sash in about 20 hours instead of 300. 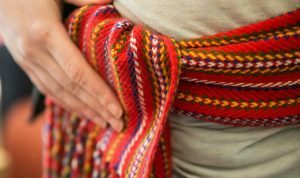 The most famous Metis sashes now-a-days are woven with looms, specifically the Red River Sash pictured below. 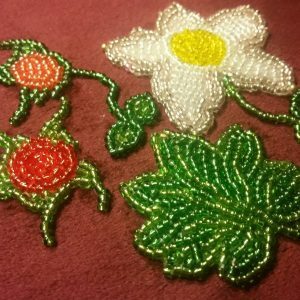 It is probably the most recognizable emblem of Metis culture in Canada (although some Easterners will tell you that it is a French Canadian invention, to which I must say, they are about half-right!). Interestingly enough for Canadian history nerds, this most common of emblems is a debutante on the scene of traditional Metis sashes. Voyageur and other similar sashes were originally woven only by hand. The story that was told to me is this. In the old days, women would weave beautiful handmade sashes and trade them to the Hudson’s Bay Company, who would sell them. Everyone wanted one of these sashes, and if they didn’t have a weaver in the family you could head on over to your nearest HBC trading post and buy one. Trade was brisk! The talented women who made the sashes were grievously underpaid, making today’s equivalent of pennies-per-hour for their gorgeous handiwork! When the women decided to band together and demand more money, so the story goes, the Hudson’s Bay found that loom weavers could produce a similar-looking sash in a fraction of the time, and were willing to accept less money than the finger-weavers. The finger-weavers were replaced (Progress, you old tyrant!). And that is the story of the cheaper-to-produce, but still beautiful, red river style sash as told to me. Definitely a loom sash can be a work of art, but will always lack the craftsmanship of a finger-woven sash, which is quite possibly worth its weight in gold. Meanwhile, as I wait for my next finger-weaving teacher to appear out of the mists of the ages, it’s nice to have a loom to be creative with. 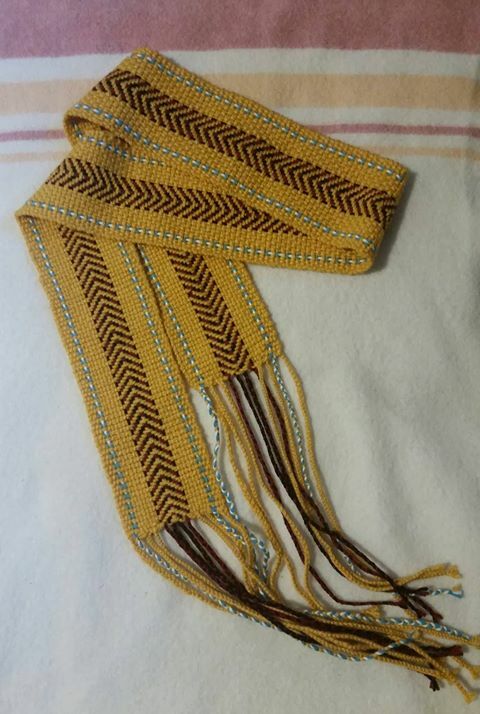 I’ll post more projects as I learn, and eventually I’ll post a pattern for the red river style sash that you can use at home on your own loom.